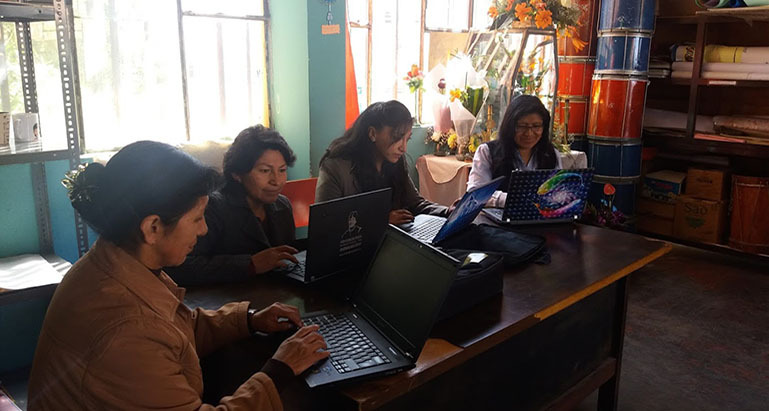 “Let us learn to teach using ICTs” is a Spider co-funded project implemented through private-public partnership arrangement and covers 30 public schools in low resource settings in Bolivia. The project targets 570 teachers and aims to equip teachers with the knowledge and experience to integrate use of ICTs in teaching. A baseline study that would serve as an information base upon which the effectiveness of the implementation would be assessed was carried out. 119 teachers from 11 public schools responded to a survey in form of a questionnaire. The survey asked teachers what practices, attitudes and knowledge they had in relation to ICT use and access. The baseline also found that 67% of the 119 teachers fell into the age bracket 41-60 years. 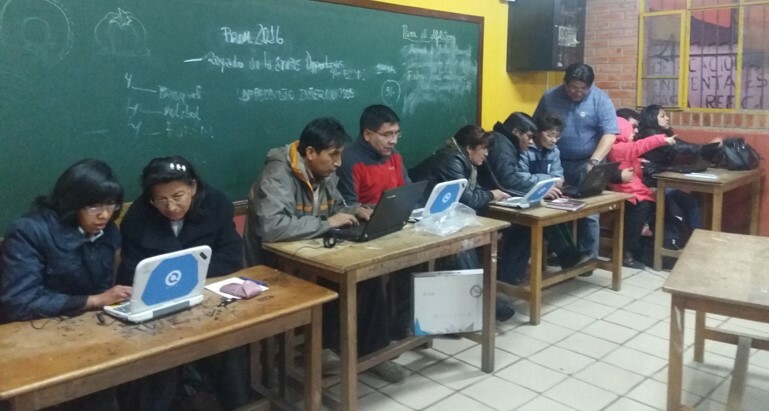 Even though other studies have found age to be a key factor in adoption and use of ICT, it was not the case in La Paz. Education level has an effect on ICT access and use. The study showed that 62% of the 119 teachers had an undergraduate degree, the remaining teachers fell into the categories of public school training, and others with long experience working in the public sector. The location of the schools was also taken into consideration when assessing the access to and adoption of ICT. The 11 schools are located on the periphery of La Paz city in areas that are geographically hilly, dominated by informal economic activities, and are generally considered poor. This has bearing on the infrastructure available for the use of computers. Access to the Internet is restricted in some of these areas where the schools are located and in others it is unstable. These challenges are one way to explain why these 11 schools have limited knowledge of the KUAA which is a digital curriculum for secondary school students developed by Bolivia’s Ministry of Education. Even though the Ministry of Education has a policy that encourages the use of ICT in education, and has delivered computers to most teachers, the lack of budget for training and maintenance of KUAA platform equipment shows a difference between “what the law says and its application” as found by the research. The training activities aimed at equipping teachers with skills needed to teach had to commence with advocacy and information exercises on some of the government initiatives, such as the KUAA platform, so they could understand the resources available for them to access and use in their teaching. The introduction to the use of computers was initially met with fear as has been found in other studies and contexts . Training sessions had to dedicate time to alleviating the perceived fears of technology adoption. By the end of the training, several teachers had created email and social networking accounts, but use of email remains limited. The research has found that teachers struggle to remember passwords used for login, so teachers have been taught how to reset the passwords and reactivate their accounts. The project is encouraging interschool communication so teachers can collaborate. The use of application programmes such as Microsoft Excel, Power Point and even the nationally developed KUAA platform, was greatly improved after the baseline revealed the limited knowledge and use of these applications. As the video illustrates, the use of Excel for example has been greatly enhanced, allowing the students and teachers to fully engage with various functions and formulas that the programme features. As the research activities occur in parallel with the implementation, new training needs are being identified. Teachers are fast discovering that PCs place various demands on users when it comes to maintenance. So there is an increased demand to be taught the use of applications such as antivirus and cleaning software. Teaching as a practice is taking on a different dimension. Where students were once passive learners, having access to ICT has meant they challenge the teachers’ knowledge and authority . This paves the way for individualised learning.